From Kyoto 1992 to Paris 2015, the dynamics behind US and China’s perceptions on Climate Change have shifted; during which time, US and China have been in search of a more effective mechanism in order to advance their environmental cooperation. The panel will unveil the ongoing progress and process of US and China in combat of climate change, with a special focus on a key factor: clean energy. 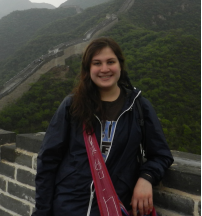 Rachel is a senior majoring in International Relations with a concentration in International Security, and minoring in Chinese. She studied abroad in Shanghai in Spring 2015, and hopes to return to China after graduation. She is a planning member for the Environmental panel in the 2016 China-US Symposium, and is excited to learn more about the relationship between the US and China from a variety of perspectives. Henry Lee is the Jassim M. Jaidah Family Director of the Environment and Natural Resources Program within the Belfer Center for Science and International Affairs at Harvard’s John F. Kennedy School of Government, Faculty Co-Chair of the Energy Technology Innovation Policy project and the Sustainability Science Program, and a Senior Lecturer in Public Policy. He also serves on the board of the school’s Middle East Initiative. Before joining the School in 1979, Mr. Lee spent nine years in Massachusetts state government as Director of the State’s Energy Office and Special Assistant to the Governor for environmental policy. He has served on numerous state, federal, and private boards, and advisory committees on both energy and environmental issues. Additionally, he has worked with private and public organizations, including the InterAmerican Development Bank, the International Finance Corporation, the State of Sao Paulo, the U.S. Departments of Energy and Interior, the National Research Council, the Intercontinental Energy Corporation, General Electric, the Massachusetts Department of Conservation and Recreation, and the U.S. EPA. His recent research interests focus on energy and transportation, China’s energy policy, and public infrastructure projects in developing countries. Mr. Lee is the author of recent papers on both the U.S. and China, the economic viability of electric vehicles, as well as case studies on Iceland’s green energy agenda, Liberia’s electricity sector, the privatization of Rio de Janeiro’s airport, and the carbon tax in British Columbia. Joanna Lewis is an associate professor of Science, Technology and International Affairs (STIA) at Georgetown University’s Edmund A. Walsh School of Foreign Service. Her research focuses on energy, environment and innovation in China, including renewable energy industry development and climate change policy. She is currently leading a National Science Foundation-funded project on International Partnerships and Technological Leapfrogging in China’s Clean Energy Sector. Her recent book, Green Innovation in China: China’s Wind Power Industry and the Global Transition to a Low-Carbon Economy, was awarded the 2014 Harold and Margaret Sprout Award by the International Studies Association for best book of the year in environmental studies. Dr. Lewis is currently a non-resident faculty affiliate with the China Energy Group at Lawrence Berkeley National Laboratory. She also serves as an international adviser to the Energy Foundation China Sustainable Energy Program in Beijing, and is a Lead Author of the Intergovernmental Panel on Climate Change’s Fifth Assessment Report. She was a member of the National Academies Committee on U.S.-China Cooperation on Electricity from Renewables and has consulted for many domestic and international organizations including UNIDO and USAID. She serves on the Advisory Boards of the Asia Society’s Center on U.S.-China Relations and the American Council on Renewable Energy (ACORE)’s U.S.-China Program. Dr. Lewis was awarded a fellowship at the Woodrow Wilson International Center for Scholars from 2011-2012, and was a National Committee on US-China Relations Public Intellectuals Program Fellow from 2011-2013. Jennifer Janisch Clifford is an environmental and natural resource economist specializing in economic valuation, resource conservation, and incentive instruments. An economic consultant on environmental conservation projects Jennifer has worked on several water projects, including coastal zone and coral reef protection for the government of Belize, benefit cost analysis of the Charles River cleanup, and a contingent valuation study of the Miyun Reservoir for the Chinese government. Land use projects include an economic valuation and social welfare study of the American public lands and the existence value of American wild horses. Currently she is teaching semester-long courses in Environmental Economics, Natural Resources & Sustainable Development, Environmental Policy, Environmental Issues in China, Macroeconomic Theory, and Food, Water, & Climate Change at the University of Massachusetts Boston. Clifford also teaches Environmental Economics at Harvard University extension school’s graduate program in Environmental Management and for Harvard Summer School and presents environmental economics seminars for intensive executive education programs at the Kennedy School of Government. Her topics include The Global Food Crisis: Market Failures & Distortions, Economic Incentives for Environmental Conservation, and Economic Valuation of Environmental Amenities.